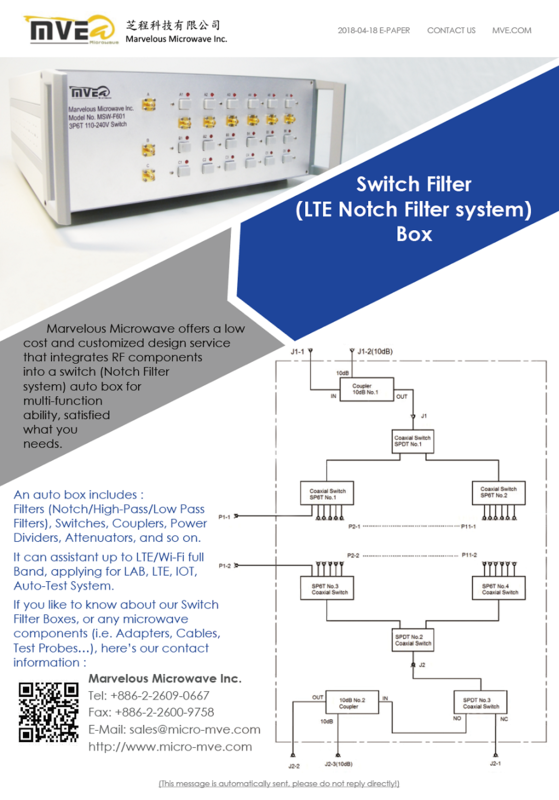 Marvelous Microwave offers a low cost and customized design service that integrates RF components into a switch (Notch Filter system) auto box for multi-function ability, satisfied what you needs. 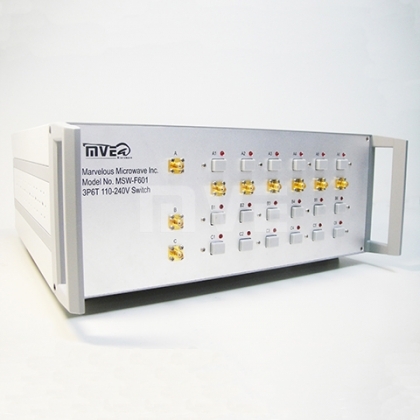 An auto box includes：Filters (Notch / High-Pass / Low Pass Filters), Switches, Couplers, Power Dividers, Attenuators, and so on. 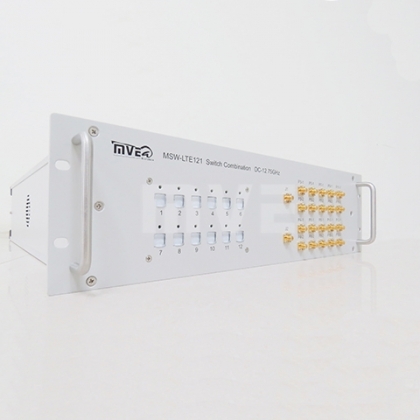 It can assistant up to LTE / Wi-Fi full Band, applying for LAB, LTE, IOT, Auto-Test System.